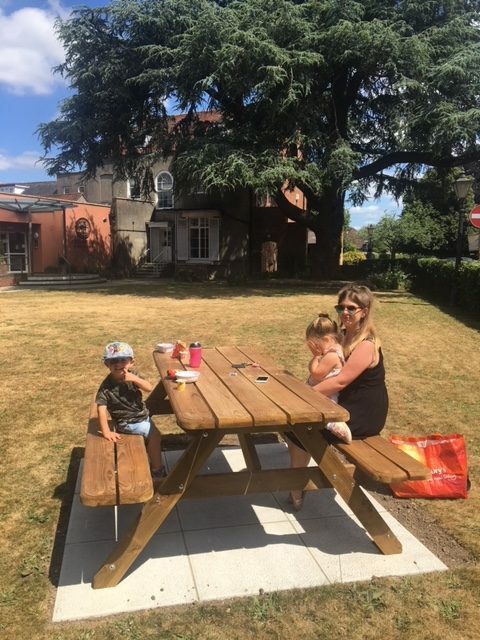 Enjoying the space under the Cedar Tree at Greyfriars is now even more lovely, thanks to the kind donation of a new picnic bench given in recognition of Greyfriars 60th Anniversary. Linden Homes, who are developing an area of new homes at Crow, Ringwood, very kindly sent their ground workers who sited the new slabs in their pride of place. 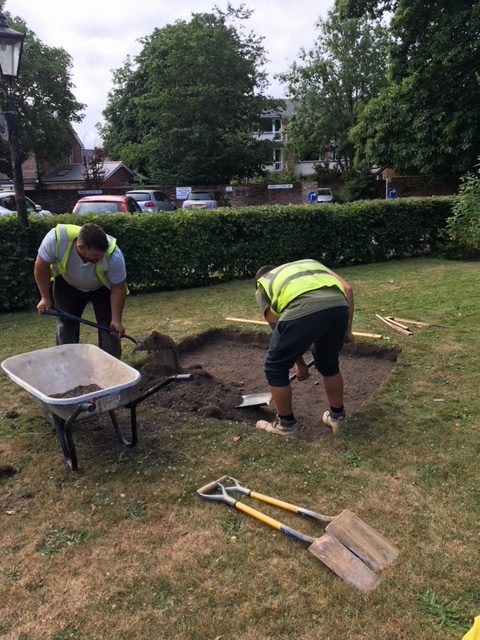 Our thanks go to both Linden Homes and Galamast Construction who between them funded not only the labour to site the bench but found exactly the right slabs to match the rest of the area. The new bench was enjoyed by a passing family within minutes of it being sited and has continued to be well used as the fine weather reaches into the weekend.